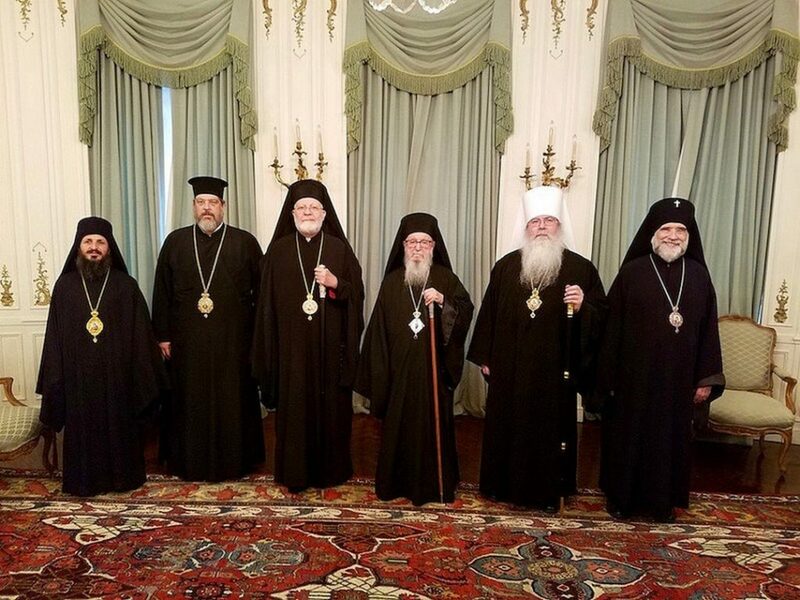 The Executive Committee of the Assembly of Canonical Orthodox Bishops of the United States of America met Tuesday, September 18, 2018, at the Greek Orthodox Archdiocese of America. The meeting was chaired by His Eminence Archbishop DEMETRIOS. Those present were First Vice-Chairman, His Eminence Metropolitan JOSEPH (AOCA), His Eminence, Secretary, Metropolitan GREGORY (American Carpatho-Russian Orthodox Diocese of the USA) and Treasurer, His Eminence Archbishop MICHAEL (OCA). Also attending were His Beatitude, Metropolitan TIKHON (OCA) and His Grace Bishop SABA (Georgian Orthodox Church). Other guests included Archpriest Thomas Zain, (AOCA) and Nicholas Anton (GOA).